Originally published by the Socialist Party of England and Wales. 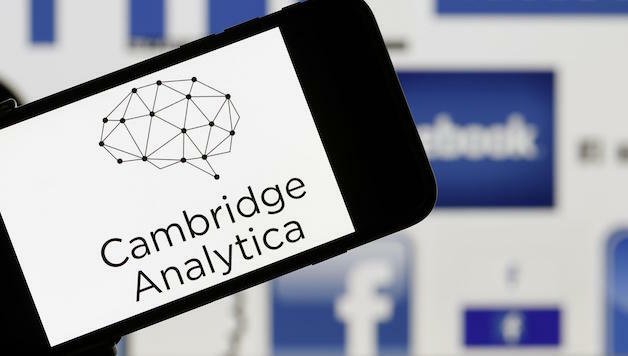 Cambridge Analytica, a data company owned by Trump-supporting billionaires, bought user information that had been harvested from Facebook and allegedly used it to build a huge program that predicted and attempted to influence voting in the 2016 US election. Facebook knew that the data had been harvested and didn’t report it. Executives from Cambridge Analytica also claimed to undercover Channel 4 reporters to have swung a number of elections around the world based on manufacturing fake bribery allegations, sending prostitutes to rival candidates and working with former state spies. While we should be extremely sceptical of any suggestion that Trump or Brexit won the polls because of advertising – no matter how targeted – the security breaches highlighted in these revelations are outrageous. Fundamentally what lies behind these votes is a rejection of the capitalist establishment which offers nothing to the working class and young people apart from continuing destruction of their living standards and hopes for the future. The absence of a mass socialist alternative that can channel the anger and offer both explanation of why life is so hard for the 99% and a programme of how to organise to fight back is a major factor. In this situation big business money will always be a defining factor – almost every election in the US has been won by the highest spender using the capitalist media and everything they can. This scandal is no exception. Facebook founder and CEO Mark Zuckerberg has been summoned to give evidence to a parliamentary committee. And a warrant is being sought by the UK information commissioner to enter and search Cambridge Analytica’s headquarters in London. But Facebook had already sent investigators of its own into the building, who were ordered to stop by the information commissioner. This disregard of data protection has rightly made a splash on the front pages. We should be angry about any big company attempting to use for its own ends (and profits) private information inputted in good faith, without clear permission. But some have been particularly shocked by this failure from Facebook, clearly having had a mistaken idea of what the organisation is and how much trust we should have in it. This latest scandal is a chance to look at some of the trends in how Facebook and social media operate, and their broader implications particularly for the labour movement. Facebook is notoriously secretive about how its algorithm (the computer process which determines who sees what posts from where) functions. But it is clear that there have been recent changes, which Facebook justifies as responding to people wanting “more meaningful” interactions, particularly with friends and family. Mark Zuckerberg’s 2018 mission statement was to “make sure time spent on Facebook is time well spent”. This sounds nice. And of course most of us do enjoy keeping in touch with those close to us on social media. One of the advantages of it is it allows people to feel involved in each other’s lives in an increasingly alienating, busy and stressed world. But by meaningful, Facebook tends to mean ‘apolitical’. The new algorithm penalises all pages unless they pay huge amounts of money to ‘boost’ (advertise) posts. The company is pitching this as an attempt to tackle ‘fake news’. But – apart from the fact it’s clearly about making more money – the idea that all organisations are inherently less truthful and meaningful than individuals is incorrect. It is the nature of those organisations that matter. In fact, people coming together collectively to say something, rather than just as individuals, is democratic and ensures more fail safes for reliability. And it’s clear that Facebook is misjudging what people want. It tried to take its impression of encouraging meaningful interactions to an extreme and trialled an entirely separate timeline for posts from pages, where the user had to click on another tab to see anything not from individuals. But this was quickly dropped as Facebookers in the six countries where it was trialled unsurprisingly reported feeling that they were actually seeing less interesting and varied content. These developments all highlight the fact that Facebook – like all social media platforms (ie companies) – is not a liberal force for good. It’s not a panacea of balanced, unbiased relaying of information. Facebook is a huge multibillion dollar corporation whose bosses make decisions on how information is collected and displayed. And their class interests (Zuckerberg is the fifth richest person in the world) clearly have an impact on those decisions. The Silicon Valley top bosses are part of the capitalist class – albeit tending towards an anti-Trump, liberal wing. Workers’ rights, including the fight for a $15 minimum wage and trade union rights are very definitely not on their agenda. The recent campaign by Tamil Solidarity against censorship by Facebook highlighted that the platform is far from radical or open. Tamil Solidarity is a vibrant, young Tamil refugee-led organisation fighting for the rights of Tamil-speaking people around the world. On 9 February, its very active and growing Facebook page was shut down arbitrarily, without warning and without any way for the campaign to appeal or have the page reinstated. But what is that process? Who carries it out? Who are they accountable to? What are their political and class affiliations? Some of these answers we simply don’t know at all – others we can probably predict. If the page of a relatively small campaign is shut down when it makes a splash on an issue, imagine what action may be taken against a mass movement, especially one fighting for socialist and revolutionary change. This can be either by the social media companies or by state forces. During the revolutionary movement in Egypt in 2011, social media sites, including Facebook, were blocked. In the recent mass movement in Iran several websites, as well as photo sharing social network Instagram, were periodically blocked and constantly monitored. Facebook and Twitter have been banned in Iran since 2009. These examples highlight why we cannot rely solely on social media to organise, and must be active in real life campaigns, organise face-to-face meetings, and produce physical publications. But social media does offer huge potential for socialists and activists to organise and spread the news that the establishment press won’t cover. For free, we can set up Facebook pages and create posts about strikes, protests, working class history and a socialist analysis of events. Those posts can reach tens of thousands of people. Social media has played a major role in a whole number of struggles around the world. Indeed, this is certainly part of why the establishment is now so keen to seize on this current scandal to push for some sort of regulation. In these discussions the role of socialists should be to demand democratic workers’ control over any such regulation. For workers and young people, Facebook allows them a voice, at least on their own profiles, to share their opinions and engage publicly in debate in a way that is usually closed off to the majority. Facebook can be newspaper, social club, television, photo album, telephone, and diary all at once. And with one in every three minutes online spent on social media, this is a vital area to engage with. But under capitalism, all good ideas can be exploited and distorted by the pursuit of profit and ultimately used to attempt to exert control over society. Some commentators pointed out that if the two separate tabs for individuals and pages had been successful, it would have meant double the advertising space to be sold. It’s free to sign up to Facebook, but it now requires an increasing amount of money to get any kind of significant reach with posts from pages. It’s thought that un-boosted videos, which get a higher reach than any other kind of post, reach an average of 12% of those who have ‘liked’ the page (ie those who have said that they want to see the content it puts out). Text-only posts reach less than 5%. While publicising these points, we must also strive to overcome the obstacles put in the way of working class and socialist organisations by having the most effective use of Facebook and other social media platforms ourselves. While we explore every option centrally, there is much that you can do to help. Facebook claims that pushing posts from individuals over organisations encourages groups to build a real life network of advocates that spread their content for them. The Socialist Party has a huge advantage in this, with our members and supporters who demonstrate time and time again how dedicated they are, and how connected to working class and young people’s struggles. We need everyone to follow, like and select ‘see first’ on the Socialist Party Facebook page and make sure you invite all potential supporters to do the same. It also means having a conscious effort to regularly like, share and comment on our posts, and to tag us into posts from you as an individual or from local Socialist Party branches. All of these things increase how many people will see those individual posts and are likely to improve our general reach too, by showing that people want to see what we’re posting and will engage with it. The Socialist Party has recently produced a social media guide for our members, giving more details on some of these points – you can request this from your local Socialist Party organiser.